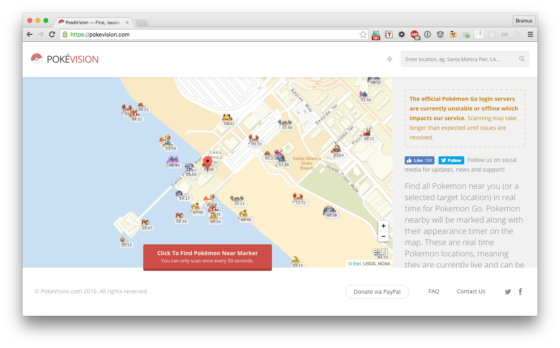 Pokevision is a Pokemon tracker/locator for the mobile game Pokemon Go. It uses the Niantic API to grab the location of all Pokemon near your (or your selected location) and display them on the map in real-time; this means if it is displayed on the map, you can go out and catch them! These apps totally remind of GowallaMILF, a website I created back in the day to locating items from Gowalla (RIP).